RARE OPPORTUNITY – Qualified Professionals Only Apply Now! Work toward meeting or exceeding individual and sales team goals. Follow established Renewal sales processes through to completion. Maintain a thorough knowledge of Renewal products. Complete Renewal training, the pre-class studies and formal class session. Ownership of appointments and commitment to convert sales leads into a sale. Present a professional Renewal appearance and image to the customer. Driving record in good standing. Ability to self-manage time and activities to meet deadlines, goals, quotas, and customer requirements.A Product Manager position is available in the Capital District. If you feel you can do it all, contact Huff ‘N’ Puff, Today! Rare Marketing Opportunity Apply Now! WE ARE – Huff ‘N Puff / Renewal by Andersen of the Albany – The nation’s most trusted name and leader in window and door replacement. 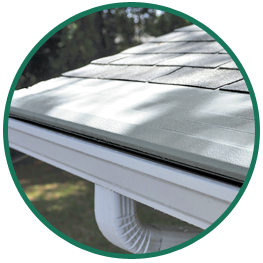 We are the exclusive provider of Renewal by Andersen® products and Gutter Helmet® in Albany and the Hudson Valley guaranteeing exclusivity and a unique value proposition. Huff ‘N Puff is the area’s most trusted name in home improvements having served over 30,000 customers over the past 38 years with an A+ BBB rating. Our growth has propelled us to Inc. Magazine’s list of fastest growing companies in the US. Proven track record of accountability and goal achievement. PART TIME POSITIONS Apply Now! Positions Available Now Apply Now! Position Available Now Apply Now! Position is available in the Capital District Area. Are you tired of breaking your back doing roofing or related construction type work? If you are a hardworking, reliable individual with construction experience, you may be the person we’re looking for to expand our staff of Gutter Helmet® Installation Professionals.